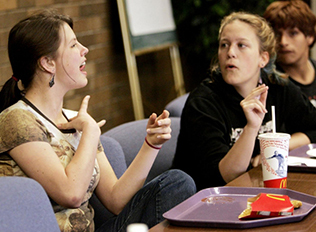 ASL Communication is one of the largest group of qualified and certified American Sign Language interpreters. Our group provides services in a variety of settings. The areas we service are educational, medical, legal, vocational and conferences to name a few. We offer interpretation for the deaf and hard of hearing. Working with both hearing and hard of hearing people. Transliterating and translation for real time transcribing. Specialties are oral interpreting for deaf or hard of hearing. And, tactile signing for persons who are deaf and blind or hard of hearing. Each interpreter is qualified to meet compliance requirements. And, we are qualified for both state and federal regulations. 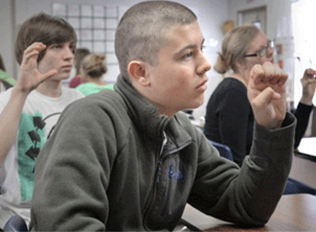 ASL Communication continues to pride itself with providing superior services for the deaf and hard of hearing. We are happy to work with you. Our services are great for all kinds of translation. We work with people that just want to get their point across as accurately as possible. Some people learn, understand and like having information in a readable fashion. And, that’s what we do. We make things readable in real time text. We listen intently. Connect with you and learn about your needs. And, then gather the important information to make the right choice of services. This is about you. We define the exact interpreter solution to match your specific budget. By taking in your style and timing needs into account we look for a good fit. We want everyone to have a good fit. People are more natural if they feel comfortable. Our interpreting services are provided to your organization with professionalism and care. We want this to be simple for you. We work swiftly behind the scenes to get everything in place. Making this simple for you. This is not about us but about you and your clients. We take the time to follow through and review your experience. Your feedback is what improves our service. We like to know and understand your experience. Please do share with us. ASL Communication is a certified Woman-owned small business. We take great pride in our little niche company. And, we want the best experience for you. We provide interpreting services nationwide. Our mission is to ensure each client and the deaf consumer receives superior services for each request. We provide qualified and certified sign language interpreters. ASL Communication is committed to working with entities and facilitating communication. We bridge the gap from the hearing community and the deaf and hard of hearing community. 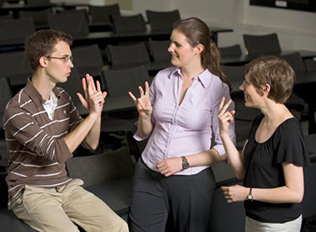 We provide sign language interpreting and also CDI’s, CART and TypeWell services. Our client service division includes a full staff of employees to fulfill the 4 step process of 1). Gathering the information 2). Assessing the request 3). Assigning the most qualified interpreter and 4). Reviewing our Performance after the assignment is complete.